Wednesday, January 17th, 2018 at 5:33pm. BUILDING SITE: Designated at DUPLEX in the Community Plan. Quiet street and corner lot directly across from Garden Park tennis courts make this an invaluable lot. 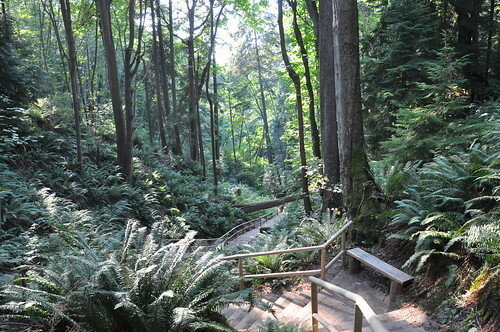 Located in Grandview [East Vancouver] area, it has close proximity to schools, shopping and transportation. The property is tenanted and showing by appointment. Friday, January 12th, 2018 at 10:09pm. We are not your normal group of Realtors or the average real estate team. Our systems and marketing is world-class. Our website generates over 20 new leads every day while we generate over 1700 visitors per day. This is 3-20 times the traffic our highest competition gets and 50-100 times what the average agents gets. This is not an accident. We have spent over $300,000 on site development costs. So we are now looking for quality buyer agents, showing specialists, inside sales agents and community focused agents that we can take to the next level. If you are hard working, willing to learn and grow and most importantly have a never give up attitude you could be the right fit for our team. Tuesday, April 11th, 2017 at 6:02pm. Thursday, April 10th, 2014 at 9:45am. There is no doubt that the purchase of a home is a huge investment, for most people it is the biggest investment they will ever make. But there are many costs that are not always apparent when purchasing a home, that need to be considered. When working with a Buyer’s Agent, early in the conversation should be a review of potential charges and costs. Some of the possible charges include (but are not limited to). Tuesday, April 2nd, 2013 at 11:31am. Vancouver is more than just a great place to live -- it's a fantastic place to stay in shape with mountain and ocean views. This year’s Vancouver Sun Run is almost here! The beloved event is scheduled to take place on Sunday, April 21, 2013. The Vancouver Sun Run is Canada’s largest 10K road race – the 2012 race boasted an impressive 48,904 registered participants. The annual event was established in 1985 with the goal of promoting health and encouraging an active lifestyle. With this year’s early spring and in the spirit of The Vancouver Sun Run’s mission, now is the ideal time to take full advantage of the countless lively outdoor activities the city of Vancouver has to offer. Sunday, March 24th, 2013 at 10:41pm. Vancouver holds the honorable title of being one of the world’s most walkable cities around the globe, according to the City of Vancouver official website. But despite the city’s unique and admirable quality, many children living in Vancouver are forgoing their pedestrian potential in favor of a less active mode of transportation. According to a recent article published in the Vancouver Sun, there is an increase in the number of children utilizing the car as their primary form of transportation. Kids who travel by car instead of by foot – or similarly active means such as cycling, skateboarding or rollerblading – are at an increased risk of suffering the negative effects of not getting an adequate amount of daily physical activity. Is Now the Time to Buy a Home in Vancouver? Sunday, January 6th, 2013 at 10:29pm. The decision to buy a house is a little like the decision to have a baby -- there's no such thing as the perfect time. But it helps to make an informed decision, to weigh need against desire and facts against speculation. Home prices in the Vancouver area declined 2.3 percent over the course of the past year, according to the MSL Home Price Index, as reported by the Real Estate Board of Greater Vancouver (REBGV). The average price of a home in Greater Vancouver was $590,800 in December. This is a decline of 5.8 percent from the peak reached in May when the average selling price was $625,100. Monday, November 28th, 2011 at 1:34pm. Nothing is as reliable as the return of the cold weather and the high cost of heating your home as the mercury level drops. Weather experts are predicting this will be especially cold, with temperatures below normal and precipitation levels above normal. There are some simple and inexpensive solutions to improving your odds in the war against the rising costs of heating your home for the winter months. Some of the winterizing improvements can be done in a quick weekend project others are even simpler. Tuesday, August 23rd, 2011 at 8:09pm. The British Columbia Real Estate Association forecasts nearly 78,000 real estate transactions will take place in 2011. Each transaction should utilize the home inspection process. For sellers, this is often seen as a leverage tool for the buyer to try to obtain credits for identified problems. But there is evidence that the home inspection can be more beneficial for the seller than the buyer. In the case where the buyer has fallen in love with the property, has been approved for funding contingent upon the inspection; the devastation of a poor finding can drive the buyers to a new location or they will use the finding to drive the price into the ground recouping credits for the necessary repairs or improvements.